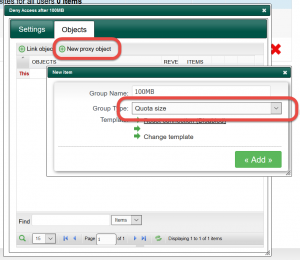 Quota size object ( available in 3.x Artica version ) is a proxy extension that calculate the downloaded size per user, IP, website, categories. Calculated size is each 10mn, hour, day, month. 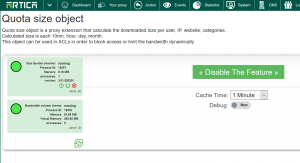 This object can be used in ACLs in order to block access or limit the bandwidth dynamically. It’s feature enabled with an active Enterprise License. After the installation, you will see 2 services running. 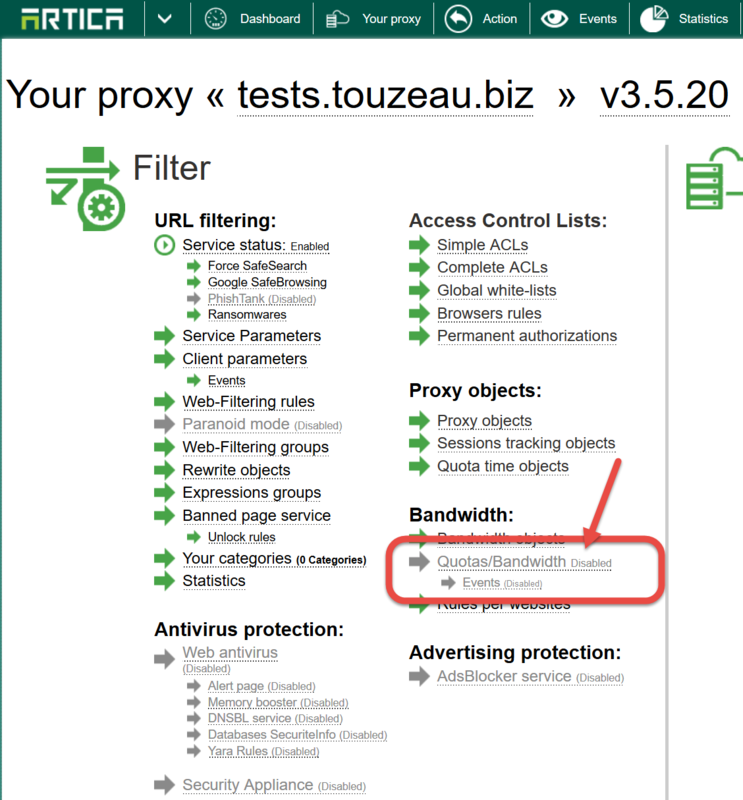 Size Quotas checker: It is the service that calculate the used bandwidth in real-time. 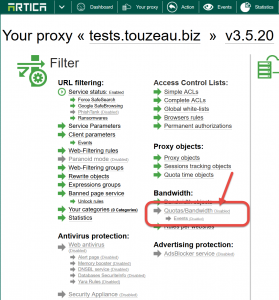 Bandwidth volume clients: The proxy plugin that able to answer to proxy which bandwidth a Website or an user or a category have used during a period. The cache time defines the retention time for a quota result. The quota/bandwidth object is designed to be used in “advanced ACLs”, it is a kind of group that return True or False according rules inside a group. 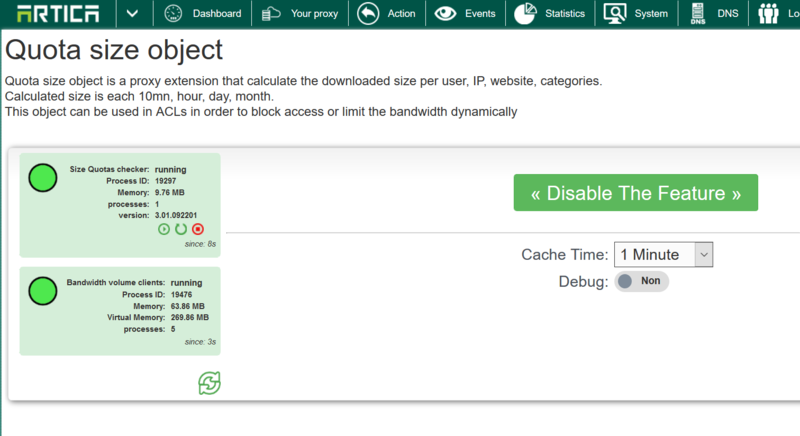 To make it simple, we want to “Deny” users if they reach 100Mo of downloads during 1 Hour. We create a first rule that “Deny” access. Go into groups section of this rule. Give the name of the Group. 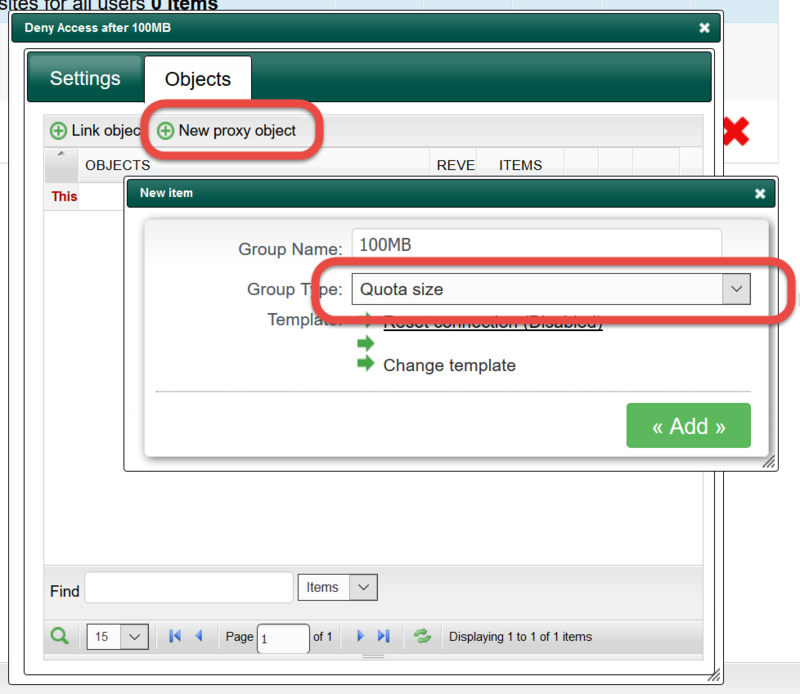 Choose “Quota Size” in the drop-down list. Click on the link of this new group. 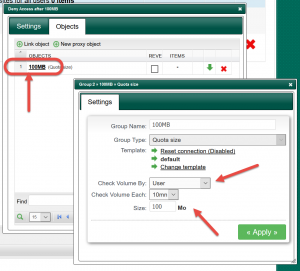 On the Check Volume by, select how the module will calculate the bandwidth ( could be by user – means IP or MAC or uid – or By Website or by user and website. 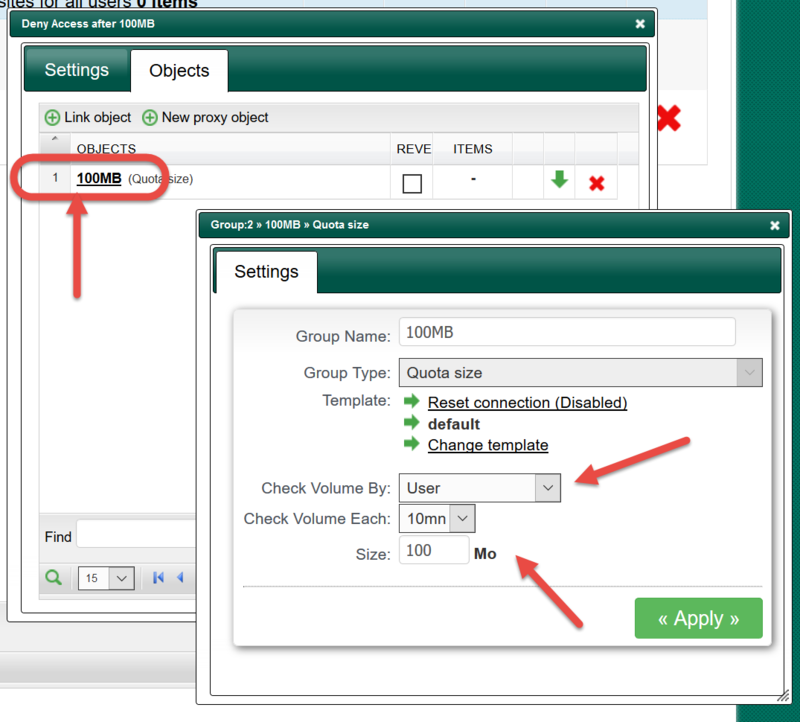 On the Check Volume each: define the period of the volume calculation each – Hour in our case. But i did not want to Deny! i need to limit the bandwidth. This is the same approach, you have to create a bandwidth limitation object and define a rule that limit bandwidth instead deny access.